If you’re looking to repair a cell phone screen, you may have some questions. While most users are very proficient with using their phones in a variety of ways, few truly have a grasp on the technical knowledge behind how these devices function. 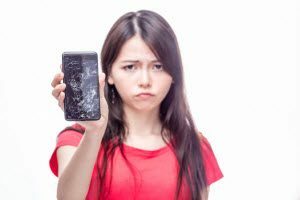 Shattered, cracked, or scraped screens can be bothersome and in some cases can even make your phone impossible to use. If you’ve put up with a damaged cell phone screen for fear that the repair process may be costly and time-consuming, you may be surprised to find that professional technicians can handle this issue with relative ease. Sometimes users decide to opt out of getting a screen protector or case for their phones. However, even the most careful user may still find that their phone’s screen has become damaged over time. Shoving your phone into the same pocket or purse where you keep your car keys can result in minor scratches. Also, fumbling your phone onto the wrong surface can result in the screen becoming completely shattered. Whether the damage to your phone’s screen is minor or significant, you can get a quality repair job from our skilled team. Reliability: Those who take their phone in for a screen repair want the job done right, and the techs who have experience in this area can provide a solution that makes the device work (and look) like new. Affordability: The longer a repair takes, the more expensive it will be. Those who can promise quick completion times can typically offer the best rates. Quickness: The right team can repair your phone screen while you run errands or while you wait onsite. You shouldn’t have to worry about being without your phone for an extended period of time! Getting a Repair for Your Phone Screen is Easy! At North Georgia Cell Phone Repair, our team is happy to help you get the cell phone screen repair services you need. Is it hard to repair a cell phone screen? That depends on the skills of the person performing the job. While this may not be a job you want to undertake on your own, our skilled team makes sure you don’t have to tolerate a damaged screen. Need to repair a cell phone screen? Click to get a free estimate, or call (770) 569-2002. We can fix that phone! Can I Trust an Independent Store for Apple iPad Repair?